This week in Butterflies class we have been learning about Animals and Nature. 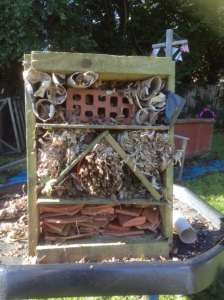 In preparation for the colder weather the Children refurbished the bug hotel using lots of different materials. 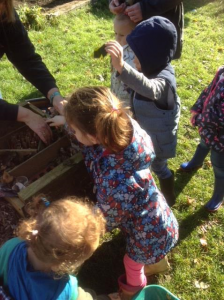 Each child also made their own bird feeder by mixing bird feed, mealworms, and raisins together with lard in a small container that could be hung in the garden. We also did some great creations using different tools such as apple and pear printing, autumn leaf hedgehogs and flower pictures. These are up on the walls for family and visitors to see.